The funeral of a decorated former soldier spared from the firing squad by a Nazi general in World War Two has taken place. Roy Wooldridge, 97, of Hendy, Carmarthenshire, was captured in France while on a secret mission just before D-Day in 1944. He was taken to Erwin Rommel who decided he should not be shot. Mr Wooldridge, who was twice awarded the Military Cross, later lived in Cardiff, where his funeral was held. The Royal Engineer previously recounted his memories of war on the BBC’s Antiques Roadshow in 2014. 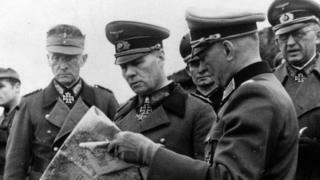 He recalled how Rommel asked if he needed anything and he replied “a pint of beer, cigarettes and a good meal”. 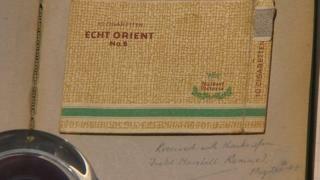 His collection of war memorabilia, including the empty cigarette packet given to him by Rommel, was valued at 10,000 by experts but he did not want to sell it and it will now be donated to the Imperial War Museum in London. Mr Wooldridge went to Llanelli Grammar School and graduated from Aberystwyth University with a first class honours degree in mathematics. He married three days before a telegram ordered him to report to his unit and he was sent to the French beaches to ensure there were no mines which could blow up the boats during the D-Day landings. After the war, he lectured at colleges in Brighton, Wolverhampton and Lanchester in Coventry before becoming college principal in Derby. 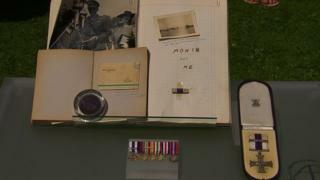 Mr Wooldridge did not talk about his experiences of war until much later on in his life. 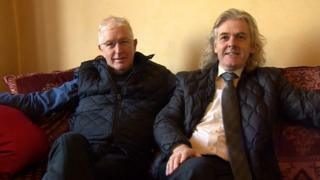 “He had a good war, not that we heard much about it when we were growing up,” his son Ian Wooldridge said. “He always regarded Rommel as a man of honour who fought a clean war, despite the fact Hitler had ordered anybody captured without names tags, which our father was, was to be shot,” he added. Mr Wooldridge died on 9 December. A procession with a New Orleans-style jazz band was held on Thursday ahead of his funeral at St Martin’s Church in Roath.